Remember this article? This was definitely a milestone in my work and from that time many positive things did happen. Several books and magazine were published with my work inside but one very important thing was that for the first time my art was published on the cover of a publication. My classic works find various destinations over the last years, in most cases new happy owners and in rare cases it was published in printed publications. A few years ago one painting was published inside a British magazine. Paintings used as cover art are specific in its requirements since they need to draw attention to the viewer and at same time to give an impression of the subject. Notwithstanding there are many artist in the world who do classic or digital aviation art, not so many of them provide work that is suitable for the cover of a publication. 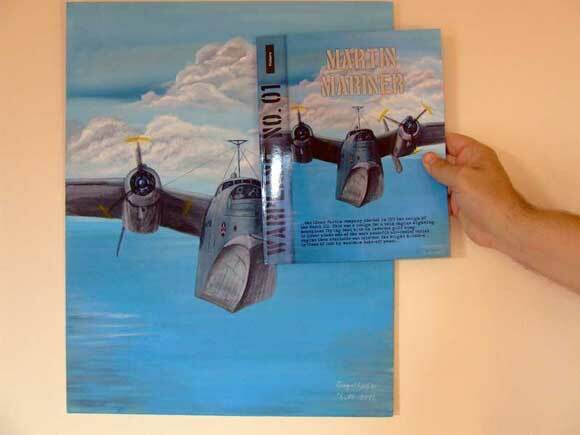 This entry was tagged art, aviation, classic, cover, painting, publication, Srecko. Bookmark the permalink.